Fairbanks, Alaska : University of Alaska Press, c2003. 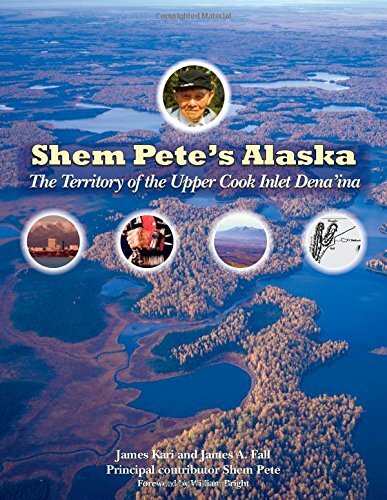 Shem Pete, the colorful and brilliant raconteur from Susitna Station, Alaska, left a rich legacy of knowledge about the Upper Cook Inlet Dena'ina world. Shem was one of the most versatile storytellers and historians in twentieth century Alaska. His lifetime travel map of approximately 13,500 square miles is one of the largest ever documented in this degree of detail anywhere in the world.